The 2014 Motor Vehicle Census (MVC) stated that there were 17.6 million motor vehicles registered in Australia, according to the Australian Bureau of Statistics. With such a fertile market, it could be the perfect time to buy a petrol station. Take a look at this primer to see if it's the right business for you. What is a gas station? Sometimes known as a service station – gas stations offer a range of fuel products to motorists including petrol, diesel and liquid petroleum gas (or LPG as it is more commonly known) and now even electricity hook-ups. Gas stations often have between two and six pumps, and 20-30 hoses. Turnover of petrol varies however a moderately sized station will pump between 325-350,000 litres per month of fuel. Gas stations increasingly offer more than just the pump, with an added convenience store element retailing confectionery, cigarettes, auto accessories, frozen foods, magazines, phone cards, drinks, ice-cream, cakes, and coffee. Niche add-on businesses are also on the rise including lawn mower hire and motel services. Doubling up is a key facet of business success, as any modern petrol station owner is also a forecourt retailer. This sector is almost 100% defined by location. Motorists low on gas on long road journeys don't have the luxury of choosing an independent over a Shell or BP garage. A well-located accessible station on a busy highway will turn over high revenues. As they say, it's a captive market. The most secure owners own all of their pumps and tanks themselves – but this is not conventional, leases are much more common. Every petrol station is unique, but they all need to provide a reliable service, especially ensuring that the petrol tanks are filled on a regular basis. A service station will also be governed by legal requirements and the owner should purchase liability insurance. This can be a highly individual business to run, but adhering to health and safety policies is a must. There are many skills needed to run a successful petrol station, but they don’t all need to be held by the same person. The greatest skill for a station owner to master is the ability to hire the best, most conscientious staff. Unfortunately running a petrol station is not a 9-5 job – in fact the busiest hours are when travellers are getting to and from work, although drivers can be on the road 24 hours a day. Most petrol stations are open seven days a week and involve early starts – usually 5.00 am to 12.00 pm. This business cannot run itself, so having enough staff for ample coverage at all times is essential. Stations that are more out of the way often have dwellings attached, making the business easier to run. It’s a business that serves both locals and passing trade, so providing good customer service is imperative. It’s also a high-turnover business so a head for sums – or a good accountant – are vital to running this business profitably. Those with organisation skills will be well-suited to this sector, as an owner will work on retail product revenues and stock ordering on a weekly basis – and an understanding of customers, from what cigarettes they like, to when the large lottery draws are will help maintain a sense of reliability in a competitive field. Placing regular stock orders for inventory is key, as is maintaining supplier relationships – an owner must consider their vendors’ processing time and delivery methods when preparing orders, plus fuel deliveries should be checked for accuracy when they arrive. Those good people skills will come in handy when reporting delivery inaccuracies to vendors and placating customers who desperately need fuel, when there is a shortage. Being good with money will also be helpful. The owner will need to keep up with the money side of the business and not be phased by dealing with large sums, most deposit cash takings on a daily basis. A gas station is not a cheap business to buy, but the most lucrative businesses rarely are. There are a few businesses for sale that are around the $200,000 mark, however the majority retail from $500,000 up to prices in the millions of dollars. Many current owners do not expect individual new owners to stump up all of the asking price at once, and a combination of part of the fee, a bank loan and an earn-out deal can help a buyer secure an acquisition. Gas stations are larger than the average small business – and the land and buildings are often leased – an additional cost that needs to be factored in to the cost price. A one to three-month bond for the station lease may also be required by the seller. Note the length of the lease as when leases are renegotiated they almost always go up in price! When looking for a gas station to buy, businesses with ready-installed shatter-proof glass windows, security systems and security cameras will be a good investment, providing peace of mind on the safety of employees and customers, and electronic door systems for 24-hour gas stations are worth considering. These factors may be less expensive if they’re already part of the going concern. Getting the fuel margins right can make all the difference to the financial health of a petrol station. As stated above, staff with petrol stations having a manager and full timers and their salaries need to be factored in (the average gas station manager salary is $40,000pa). A common way to measure earnings is to look at annual sales revenue – the amount realised from selling services in the normal operations of a petrol station – a petrol station is likely to generate more than four or five times its asking price annually – although taxes and overheads – that annoyingly fluctuating cost of fuel - must be deducted from this amount. Some owners posted earnings of more than $1million in the last year. 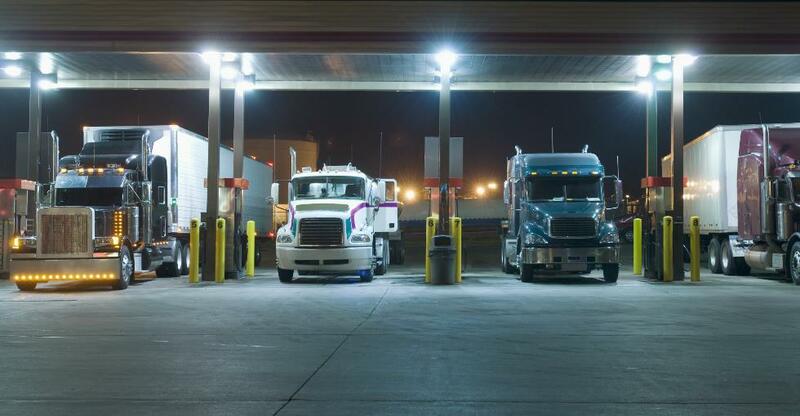 One of the great things about this sector is that with new investment and smart ideas an owner-operator can grow a business to increase the profits. Current trends in add-on businesses for buyers include a car wash facility and a coffee shop. For any business, the way to sustain a money-making venture is to entice customers into purchasing. Unfortunately petrol is a bigger money spinner for the government and the large oil companies than a petrol retailer. But concentrating on small frequent petrol mark-ups and revenues from retail products can make this a lucrative business. Buying a gas Station? Sign up for a BusinessesForSale.com account to receive priority listings, as well as the latest gas station advice and features directly to your inbox!